Geri-Martha O’Hara and her husband Ryan founded Big Spoon Creamery in 2014 after spending years working as chefs in fine dining restaurants. 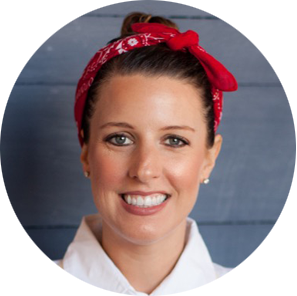 Geri-Martha graduated from the University of Alabama with a Bachelor’s degree in entrepreneurship in 2007, and soon after began a career as a pastry chef. After working her way up to executive pastry chef first at Daniel George in Mountain Brook and then Dodiyo’s in Homewood, she moved to New York where she interned under well known pastry chefs Dominique Ansel and Michael Laskonis. Upon returning to Birmingham, she worked as a pastry chef at Bottega under famed Birmingham chef and restauranteur, Frank Stitt. It was while working at Bottega in 2010 that Geri-Martha met her now husband, Ryan, who was then a line cook at Bottega and later sous chef at Chez FonFon. The two eventually got married in 2014, and started Big Spoon Creamery three months later. With locations now in Avondale and Homewood, Big Spoon specializes in artisan ice cream using high quality, local, and seasonal ingredients as much as possible. Geri-Martha’s approach to ice cream was formed through her years of experience as a pastry chef in fine dining restaurants. When she’s not leading the team at Big Spoon, she loves spending time with her husband Ryan, son Carter, and yellow lab Charlie!